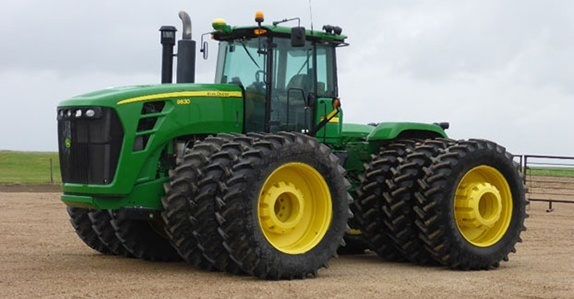 When it comes to buying a farm tractor, farmers know what they need - whether it's a 4WD tractor, a MFWD tractor, or a tracked tractor with a specific number of hydraulic outlets to run a scraper, air drill or other farm attachments. Though they know the exact make, model and specifications they require, farmers will always inspect a tractor before they buy. Use our agricultural tractor inspection tips as a general guideline and be ready to find the tractor you need online at IronPlanet or an an upcoming Ritchie Bros. onsite auction. 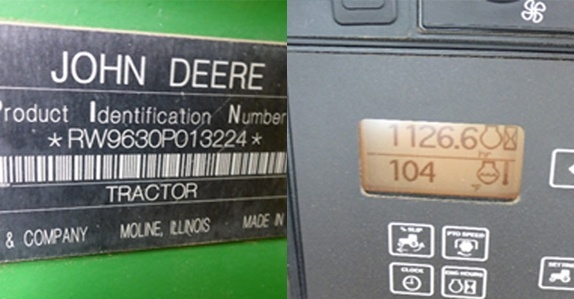 The first step in the process is verifying the serial number and odometer on the unit you are inspecting. Once you have obtained the proper serial number, you will be able to verify year, make, and model. After you know this is the right type of tractor for you, getting the hours will let you know the usage. In newer tractors, they will show you the driveline hours as well. These details are very important to know when buying used. Start the tractor you are inquiring about and drive it forward and backwards to make sure the transmission operates smoothly. Take a walk around the unit and pay close attention to sounds from the engine, the paint, damages or leaks you may see. Any sounds or signs you may come across will tell you if this was a well-maintained tractor. As with all pieces of equipment, lift the hood, let it run and check for any signs of leaks from the engine, hoses or hydraulics. Check for any cracked or worn hydraulic, coolant or fuel lines. Find the engine plate and check for horsepower and make sure that the engine meets emission standards for your jurisdiction. Use a mechanic’s stethoscope, or other tool (some buyers use a screwdriver), and hold it up to the engine block. Listen for any knocking or scratching sounds coming from the engine cylinders. When the machine is off, remove the air filter. Air filters should be replaced every 100-200 hours, 300-400 hours for in-cab filters. Check the operator’s manual for the manufacturer's recommendation. 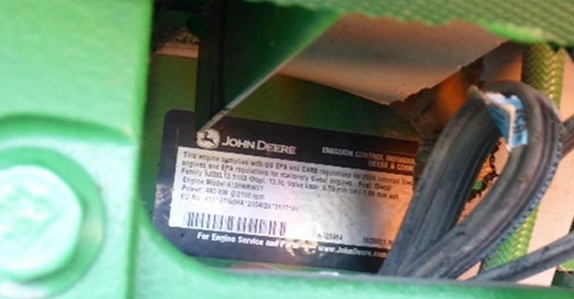 If regularly replaced, the air filter should not appear dirty. When going through the cab the first thing you will notice is the condition. If it is a well-maintained unit, the cabs will generally be clean with no to little damage inside. In a tractor, there will be many options inside of the cab. 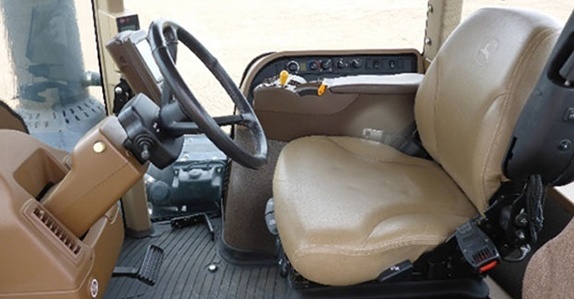 You need to check transmission type, displays, hydraulic controls, activations etc. Make sure displays work and everything you require for your farm is examined, these accessories could be costly to replace. Conduct both a visual and operational inspection of the articulation point. As the major moving part on the tractor, it should always be greased. Check for any metal shards. Shards are signs of wear and most likely a result of improper maintenance. For the operational inspection, start up the tractor and drive it back and forth. If you feel a knock when moving, a transmission slip could be the culprit. Next, turn the steering left and then right. Check for any wandering or looseness in the steering as this could mean that the main pin may be bent or damaged and needs to be replaced. 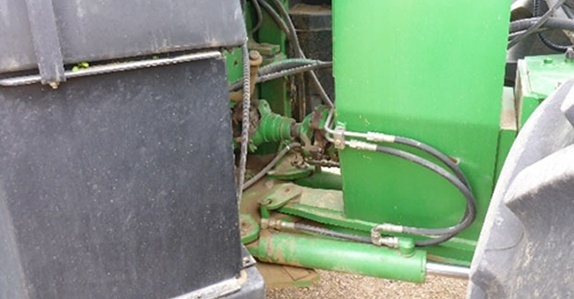 Tight or difficult steering could signify that the pins need to be greased or that the hydraulic cylinders might not be in proper working order. Anything that has a mechanical drive (grain carts, manure spreaders, augers, etc.) will require a functioning PTO shaft. First and foremost, ensure that the PTO has the proper specification for the attachments you will need to run, for example, 540, 1000 or Big 1000 RPM. It is better to buy a tractor that has more of what you need when it comes to horsepower, PTO power specifications, etc. The result will be better fuel economy in the field and the potential to handle any large jobs that could come up as your operation expands or changes. Start up the tractor, turn on the PTO and check for a smooth rotating movement. Listen for any odd noises such as a knocking sound coming from the running output shaft. 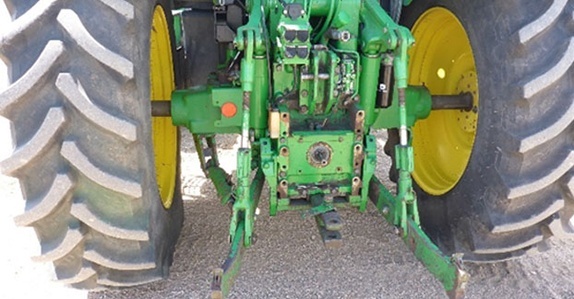 Keep in mind that repairs to the PTO can be costly as the tractor's rear end and usually the rear axle needs to be removed for access. Also, check for number of hydraulic outlets, verify gallon per minute the tractor is capable of, and any leaks or damages. 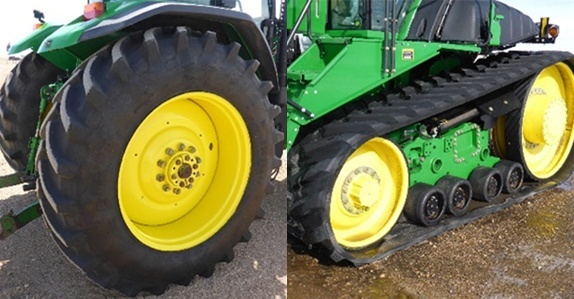 Tractors will be equipped with rubber tires (might be filled with fluid) or tracks. When inspecting rubber tires check make, size and quality of tread. Make sure to check the rims for any cracks or deficiencies. Looking at a track tractor you will need to check for missing rubber/tears, check the depth of tread, the rollers and drive sprockets for excessive wear. We encourage sellers to supply maintenance logs, inspection lists, work orders and other supporting documents. Make sure to ask at the auction site for these documents. They provide valuable insight into how often and what types repairs were performed. If you're interested in buying tractors being sold in upcoming Ritchie Bros. auctions, visit the auction site to test, inspect and compare different models before you bid. Or see what’s available for sale on IronPlanet, including a large selection with IronClad Assurance Equipment Condition Certification.